Claims against METRO (Washington Area Metropolitan Transit Authority) or other common carriers such as Greyhound and the like bring another set of theories for the accident attorney to consider. 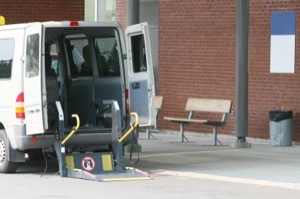 Most of the time, common carriers such as METRO are required to use a higher degree of care for its passengers than perhaps a driver of a private motor vehicle may be required to exercise. Although a common carrier does not guaranty the safety of its passengers, they are obligated to use skill and diligence in transporting passengers which also includes loading and unloading passengers. If the carrier is aware of a disabled person's condition, they also have a heightened responsibility to provide for the disabled persons safety as well. Not every accident on a common carrier is actionable. There has to be a deviation from the standard of care required before a claim can be made. Each case involves its own particular facts and must be determined upon those facts. The duty to the passenger by a common carrier begins when the passenger attempts to enter the carrier, continues throughout the ride and terminates only after the passenger has safely exited the carrier and the facility. Typically, when a METRO vehicle is involved in an accident, a street supervisor will come to the accident scene and prepare a street supervisor’s report. The street supervisor will prepare a detailed report that will help the parties involved in the case know the specific facts and circumstances of the case including if any other parties are involved. The street supervisor’s report can be obtained from METRO after the accident. Careful consideration should be given for each case involving METRO as the cases could get costly for the parties if a suit is filed and the case is removed to the U.S. District Court. In Maryland and the District of Columbia, METRO operates passenger buses, and trains. Claims can be made against METRO for injuries that occur because of an injury on one of the buses, trains or METRO operated work trucks that cause an injury. Additionally, METRO could be responsible for portions of property or garages adjacent to the stations. 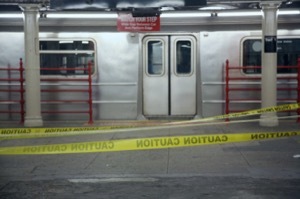 METRO could be found liable for damages if they owned or were responsible for the maintenance of an area where someone was injured. There have been several accidents involving the trains and inclement weather where the operator was unable to stop the train before an accident occurred. There has been at least one rollback accident where many people were injured. More recently, in 2009 two trains collided near the Fort Totten Station. Several people died and many more were injured in this accident. In this accident there were many claims for injury because of this collision. Over the years there have been many derailments which have caused injuries as well. In 2015, there was a train that stopped in one of the tunnels and filled with smoke injuring many people. Any common carrier does have an enhanced duty to provide reasonable care for obviously disabled persons. This includes the requirement that they provide assistance to the obviously disabled person. Failure to properly provide the proper care or assistance will give rise to a possible claim by the disabled person.